Australia is filled with rough terrains, there is no denying that and maybe that’s why we have become a nation of 4×4 lovers. As a typical adventure seeker, I’ve had my share of 4x4s and 4WDing, and my latest beauty is a Mitsubishi Pajero. I’ve had this monster for a while now and I must say I do love it. I like its 3.2 litre motor, the 88-litre fuel tank, the heavy-duty 4WD system, the storage space, the its head and leg room and the list goes on. However, I must say I wasn’t too happy with the exhaust. I wasn’t sure at first what it was, I just felt like it didn’t have the proper roar – I was getting more of a meow from a domesticated cat instead. And no wonder, as I later found out, most car and truck manufacturers create plenty of options for improvement when it comes to horsepower and torque, but will choose the least expensive alternative when it comes to the exhaust system. Luckily, after doing some research, I was able to find some great Mitsubishi exhaust aftermarket options that have great quality, and are designed to boost the performance, so it wasn’t difficult to make the change. The best part of it all is that I could hear the difference as soon as I started it up; there is definitely more of a growl now, but not too loud to the point of being annoying, just enough to put a smile on my face. But that’s not all that’s different, I felt a definite improvement in the performance as well. 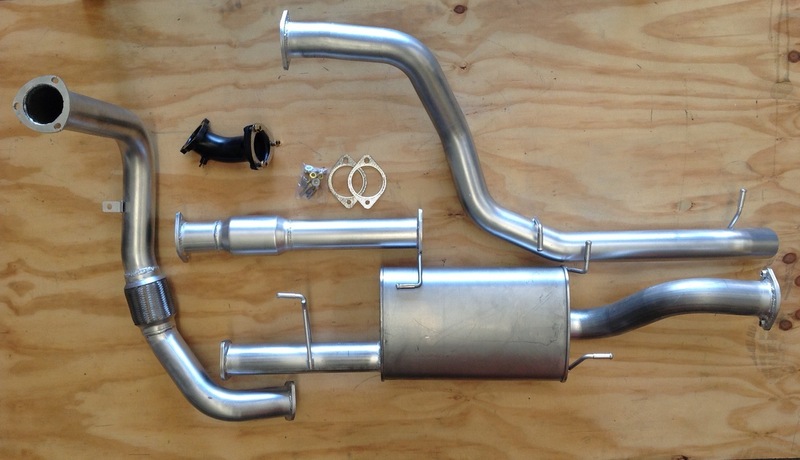 Aftermarket exhausts have a much better build since they have a better design than the regular factory-made when it comes to the exhaust gas escape. Because of that, they can make your car more powerful, making the engine work more easily by allowing it to breathe more effectively. Not to mention, aftermarket Mitsubishi exhaust systems are made from much better materials, such as stainless steel so when comparing them to factory made ones, it’s a no brainer which ones are better. Factory-made exhausts are typically made from mild-steel and you can be sure that they will deteriorate much faster. So if you are looking to improve the performance of your car, these are my 2 cents on the matter when it comes to exhausts. They definitely helped improve the performance on my Mitsubishi and I’m sure they can do the same for yours.